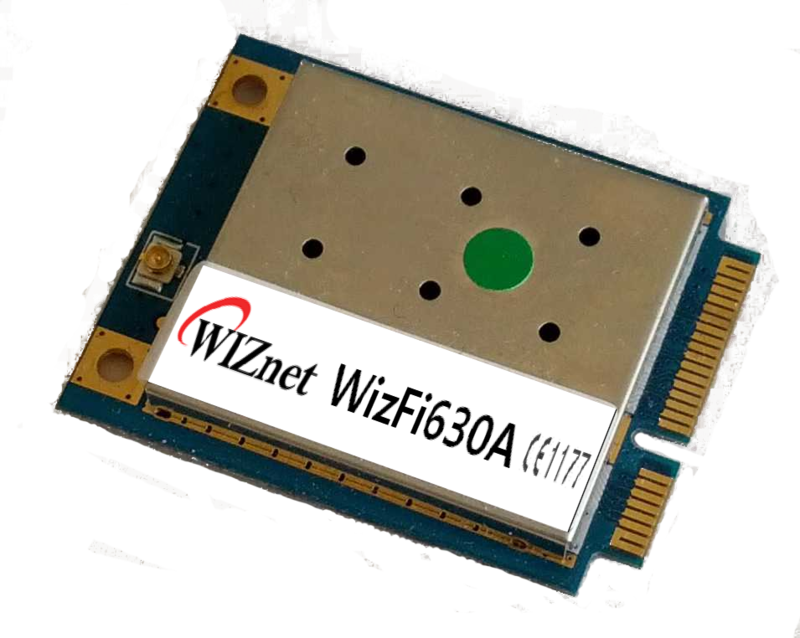 WizFi630A | WIZnet Co., Ltd.
WizFi630A is a high performance 802.11b/g/n embedded WiFi module. 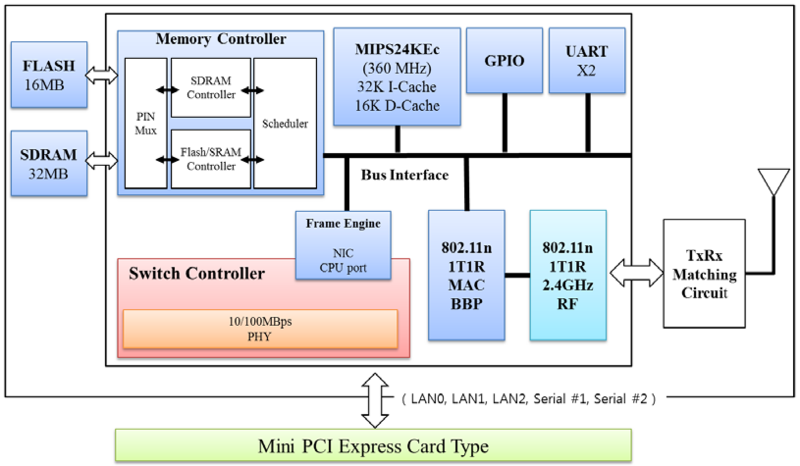 It is in the form factor of Mini PCI Express, which means standard Mini PCI Express connectors can be used for mounting the module on a PCB. The operating system of this module is powered by OpenWRT, so the developer can just use it as it is and configure the module to his needs. Beside that it is no problem to use the source code of OpenWRT (openwrt.org) or alternatively LEDE – Linux Embedded Development Environment (lede-project.org) to generate own images of the operating system to have maximum flexibility and put even own applications onto the module. Configuration via serial console or secure shell access is possible.